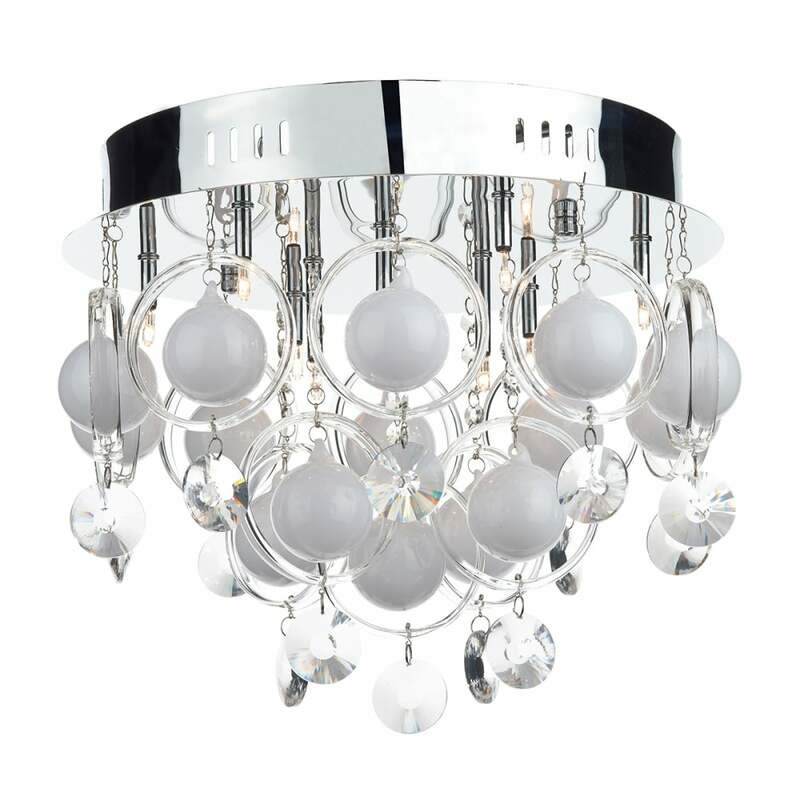 The Cloud 9 light flush ceiling mounted fitting from DAR Lighting is a beautifully deisgned modern light finished in polished chrome with clear glass rings and white opal and crystal glass droplets. The light offers a modern designed lighing solution adding glitz and glamour to your interior decoration. The light requires 9 x 20w Max G4 lamps or LED equivalents.